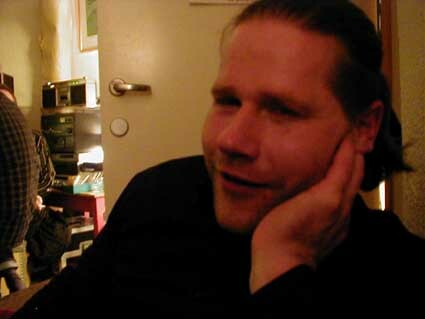 Marius has done many gigs with us, when Bjarne or jon could not play for some reason. He also plays on Luxus: bass drones on Brugata and e-bow bass on Fluxus. Marius used to be member of the theater group, De Utvalgte, that Salvatore followed to Morocco to record Jugend - A New Hedonism and Fresh. Now he is member the performance groups of Fabula Rasa and Fakta Morgana. He also plays with The White Birch and Melancholics Anonymus.